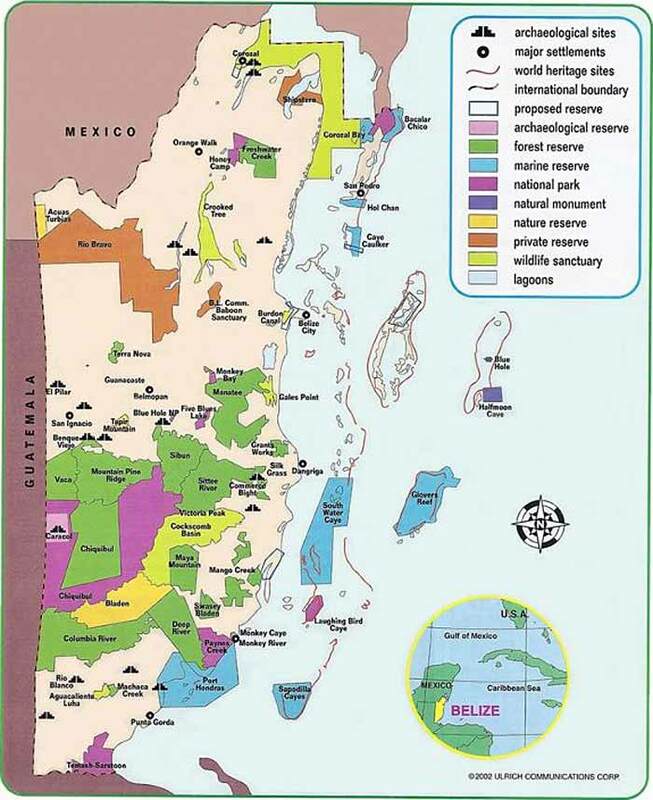 FAO claims that Belize total land mass is 2,275,353 hectares (5,620,121 acres)…..with 1,434,119 hectares (63.36%) owned by government….and 841,234 hectares (36.64%) owned privately. ~ Global Forest Resources Assessment 2010 (FRA 2010). Of 841,234 hectares that is privately held…it is estimated that less than 1% of the population (approx. 3,500 persons) own over 80%, in terms of acreage. In many cases, these same persons exercise significant influence over large tracts of the 1,434,119 hectares owned by government, by virtue of their influence over strategic “non-governmental” interests such as Belize Audubon Society- BAS (whose website claims they manage 192,000 acres), Friends for Conservation and Development – FCD (264,000 acres), Programme for Belize – PfB (259,210 acres) among a slew of others like Toledo Institute for Development and Environment – TIDE (145,650 acres), Southern Environmental Association – SEA (74,690 acres), Sarteneja Alliance for Conservation and Development (180,510 acres)…..among many others. They convinced our various governments to assign to their various “non-governmental” enterprises control over these large tracts of land under what are called “co-management agreements”….which they get at practically no cost to them. Most of them use these agreements as the basis for raising funds locally and abroad, under the pretext of administering the areas under their administration on behalf of the government and people of Belize. In most cases, they manage to raise enough funds to pay a small staff and finance small-scale scouting (sometimes called policing) operations upon which they base public relations campaigns aimed at raising more money….but most, if not all of them, have very little resources to do anything substantial towards the development of these large tracts of land that they control. The Government of Belize National Budget claims that in 2013-14 it raised around $4.85 million from land tax….and projects around $5.4 million this year. This amounts to an average of BZ$2.38 land tax per year per privately held acre…..over 80% of which comes from tax on residential plots in cities, towns and villages….that is paid for by small land holders who are large in numbers, but small in total acreage relative to the size of Belize territory. The large private holdings of rural lands yield very little revenue for Government…..and the large tracts of land held by these “co-managers” is not subject to any tax. This is the incentive for these few residents and non-residents to hold large tracts of land….because it comes at no or low cost. The structure of land taxation in Belize encourages speculation….and not investment and development. In other words, the largest material resource of Belize….land…..is largely not disposed for the development of the country in the interest of the vast majority of Belizean people. 2. The land tax on small parcels of residential and business plots in cities, towns and villages should be reduced based on transferring 50% of the gains from #1….which in itself serves as a form of rapid redistribution of wealth. 3. The government should have a smooth and easy process for large land holders to trade in lands to government each year in lieu of taxes. These acquired lands should be distributed to as many Belizean small and medium-holders as possible, based on their investment and development plans….another form of rapid redistribution of wealth and investment/development capacity. 4. Co-management organizations should be required to show proof of resources to develop the resources under their management, and the size of their tracts reduced significantly to reflect their capacity and capability. As they invest and develop, they can apply for more acreage in an orderly phased-fashion. 5. Co-management organizations should pay a small tax of BZ$0.25 per acre (mostly symbolic)…..so that their ambition for control of territory is tempered by their capacity and capability for investment and development….not a free ride. This will also change their focus from their existing “conservation” or do-nothing-but-public-relations…..to sustainable development. 6. All tracts of land over 500 acres that was acquired from GOB based on a development plan needs to be evaluated for their completion of those plans….and any action to reacquire these lands in orderly fashion should be put in place, giving sufficient written notices and time for the holders to action their plan….with a maximum timeline negotiated and agreed to between the GOB and the holders on a case by case basis, to a maximum of five years. 7. Government should stop forcing Belizeans to live in ghettos by making residential plots 50'x75'…with very little green spaces and area for public infrastructure. It should instead make plots 100'x100' or more compulsory….with at least 35% of land space set aside for green spaces and public infrastructure.